The perfect side to your epic keto weekend barbecue, or plate of eggs and bacon. 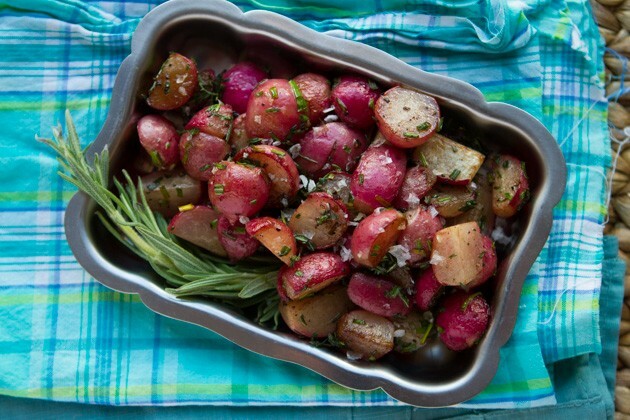 A low-carb, paleo, keto version of roasted potatoes. Dusted with fresh herbs and sauteed in tallow. 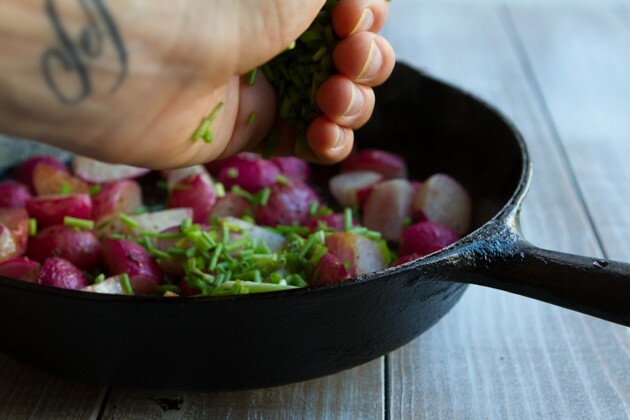 We received an influx of radishes in our organic produce box a couple of months ago. Aside from enjoying raw, I wasn’t too sure what to do with them. 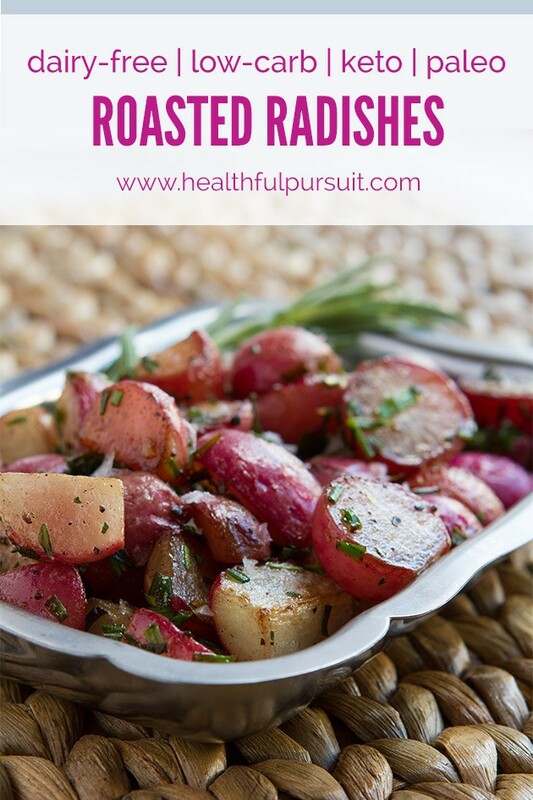 Then, one morning as I was preparing my usual keto breakfast of duck egg, bacon and some sort of roasted vegetable, I tried roasting those radishes… and damn! I shared the dish on the Healthful Pursuit Instagram page and everyone went crazy! You wanted the low-carb, keto recipe, so here it is, finally. My first book on ketogenic living, The Keto Beginning, was the first keto “diet” book I’ve written. Up to that point, the Healthful Pursuit message was one of liberating restriction and being free with our food choices. After the release of The Keto Beginning, our community began to transform, and with it, came a lot of conversation around food restriction, lack and non-trust when it came to allowing our bodies to guide our food choices. I’ve met with hundreds of women in a one on one setting, over the last year preparing for my second keto book, Fat Fueled. This 300+ page digital keto program highlights the solid actions I’ve used with my clients to encourage healing on a fat fueled, keto eating style with over 65 keto recipes and 160 keto resources. From in-depth keto plans/support for eating high-fat, keto with thyroid imbalances, adrenal fatigue, anxiety, pregnancy, fertility… addressing keto rash, brain fog, plateaus, workouts, fasting, training, 4 strategies (with keto meal plans) on carb ups, superfoods, weight loss, weight gain, complications/frustrations, and the most exciting: intuitive eating with high-fat, keto living. Think of Fat Fueled as the resource that fills in the blanks of living a high-fat, keto life and not feeling like you’re restricting every-damn-thing. The keto program is filled with simple actions that you can incorporate into your life, step by step. Along with a 4-week meal plan to continue on your keto, fat-burning journey. It’s about creating balance, a healthy relationship with your body and healing ourselves. Yeah, weight loss will likely come as a result, but it’s not the main focus. Why? Because 95% of the women I’ve worked with in the last year were so focused on losing weight that they lost sight of taking care of their bodies and in turn, couldn’t lose weight to save their life. Get Fat Fueled, Available NOW. 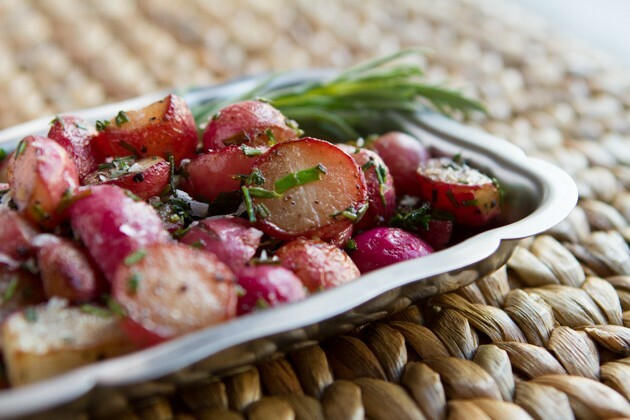 Okay, now to roasted radishes for vegetable keto lovers everywhere… let’s do it! 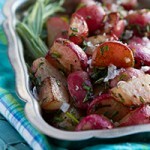 A low-carb, keto, paleo version of roasted potatoes. 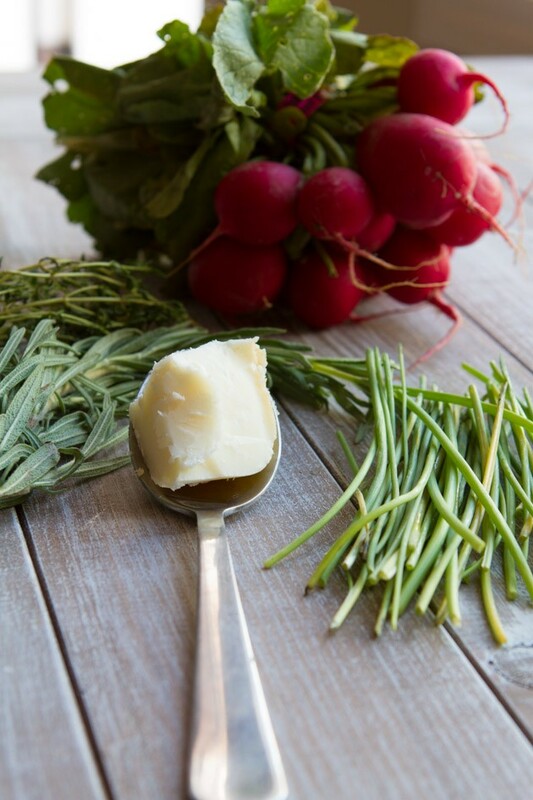 Dusted with fresh herbs and sauteed in tallow. You could also make these on your barbecue, in one of those barbecue vegetable baskets. 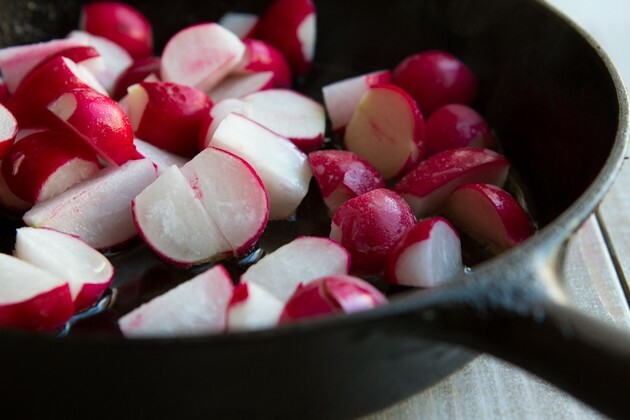 I’ve done it a bunch of times, but like the cast iron version better because the fats stay in the pan, letting the radishes soak it up!